Backsliding or falling away is one of Satan’s most effective weapons against us. In this Q&A I will answer six questions often asked about backsliding. 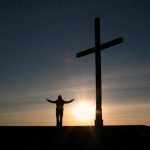 In Christian theology “backsliding” or “falling away” is a term used to describe a process by which a believer reverts to his old state of life and walk away from God to pursue worldly desires. (2) Why do believers backslide? (3) What are the consequences of falling away? (4) What can the church do? (5) How to know when someone falls away? You cannot unless they express it by their behavior. In fact some people are very good in concealing their true spiritual condition from others. (6) How can I keep from backsliding? If this Q&A was helpful to you, please consider leaving your feedback in the comments section at the bottom. It would be a great encouragement to me personally.